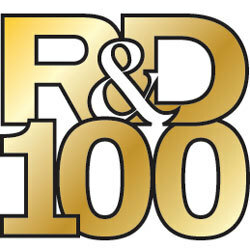 The National Nuclear Security Administration (NNSA) said recently that five federal research laboratories were honored by R&D Magazine's R&D 100 Awards. Lawrence Livermore National Laboratory (LLNL), the Los Alamos Laboratory (LAL), the Y-12 National Security Complex, Sandia National Laboratories (SNL) and the Pacific Northwest National Laboratory (PNNL) were honored. Combined, these institutions were awarded a total of 15 awards from the publication. Both the PNNL and Sandia were awarded awards for five projects each. LAL received recognition for its Structural Health Monitoring (SHM) Tools project, which aims to improve the maintenance of structures, including pressure vessels, power plants, wind turbines and others. SHM Tools is a piece of software that offers algorithms to evaluate damage-detection processes. The LLNL received three awards for projects. The Y-12 facility was recognized for its work in chemical identification through magneto-elastic sensing (ChIMES). NNSA said the system offers a wide range of uses and is capable of detecting chemical, biological and nuclear agents, as well as explosive materials and narcotics. This award honors excellence in technology and product development leading to innovation. To be eligible, products and technologies must be operational and marketable in the previous year. Want to get notified whenever we write about National Nuclear Security Administration ? Next time we write about National Nuclear Security Administration, we'll email you a link to the story. You may edit your settings or unsubscribe at any time.